The Annual Scientist-Practitioner Conferences in Industrial- Organizational Psychology were conceived by the Department of Psychology at Old Dominion University as a means to foster exchange of information, points of view, and insights among those who are engaged in research in the behavioral and social sciences, and those who, in various business, industrial, managerial, organizational, and educational roles, are actively engaged in work affording opportun- ities to apply the findings and concepts generated by scientific study (many people do both). Our vested interest and our hope is that the stimulus provided by these exchanges will help us and our professional cohorts in psychology and other disciplines to advance the cutting edge of theory and application in problem areas of present and prospective importance. The first of these conferences took place in 1980, and had as its theme, "Performance Appraisal. " 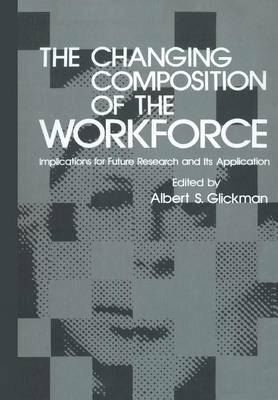 The papers here constitute the substantive contributions to the second conference which addressed issues pertinent to "The Changing Composition of the Workforce. " It should be noted that although industrial-organizational psychologists continue to claim parentage, this meeting can lay claim to an interdisciplinary lineage, validated by the presence on its panels and among the other invited participants of economists, labor officials, educators, personnel administrators, gerontolo- gists, sociologists, business managers, and military officers, as well as others of unknown origins.